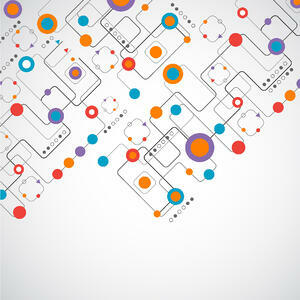 The information technology market is demanding software defined networking (SDN). It’s a whole new paradigm that is not only the next natural progression of networking, but a simple way for IT leaders to control their networking environment and keep up with the lightning-speed rate of technological change that the industry is facing. Ever increasing workloads, the need for a flexible environment and more robust business activities have IT leaders begging for a new way to manage them; this IT revolution (as we have coined it) is called software defined networking. Simply, software defined networking provides a versatile, yet dynamic networking architecture that allows IT managers to respond quickly to business demands and manage their networks within a central environment. All tweaking, testing and monitoring can be done with a push of a button and can viewed in a single pane of glass. SDN is an architecture based around three layers: at the center is the control plane, the main layer that’s purpose is to manage the interactions between the application layer and the network infrastructure below, or data plane. In traditional data environments outside of SDN, the control plane and data plane physically resided on the same level, while SDN creates a separate distinction between the two. Many businesses, including massive organizations like Google, Amazon and Microsoft, have been taking advantage of the unique benefits that SDN provides. Here are some predictions from industry leaders about where this IT strategy is headed in the future. According to Carolyn Raab, VP of Product Management at Corsa, SDN is set to emerge from its place in the hype cycle; it will begin to be based on real deployment and real case studies instead of promises. Up until recently, Raab has noticed road blocks enterprises commonly face that may be delaying their move to SDN. Now, open hardware and open source controllers are more readily available and are helping to fill in the missing pieces – as well as SDN-ready hardware from some of the world’s largest hardware manufacturers. Research firm IDC found that the market for global enterprise networking created $40.2 billion in revenue in 2015 and the market has been growing steadily this year. SDN made up a large chunk of this revenue; their recent estimates determined that the valuation of this market is expected to reach $8 billion by the year 2018. In contrast, IDC previously predicted in 2012 that by this year, the market would be worth $3.7 billion. 3. And It Could Top $132.9 billion by 2022! Up to now, it has been network administrators and operators that have been the leaders and drivers of the enterprise. Their primary role was to keep the enterprise running, juggling an endless array of maintenance tasks that the assorted fleet of proprietary devices from multiple vendors demanded. This took up the bulk of their time. Remaining time was spent implementing new proprietary devices within the network that would then consume their time maintaining them. As the true nature of SDN is realized, developers will become the leaders of the enterprise. These developers will create applications that will help drive the business toward greater productivity, agility and profitability. Unlike the hardware driven network, the software driven network will not be seen as simply “the cost of doing business” but as an initiator of innovation that can be tied to the bottom line of the company. The predictions we make today are most likely primitive compared to the realities that will come about in the coming years. SDN could very well be for the IT industry what the assembly line was for the automotive industry. Check out our tech brief that shares 7 SDN Predictions for 2016 and Beyond to learn more about how this game-changing technology may shape the future of networking. Where is software defined networking on your IT roadmap? Almost every type of business (SMBs and enterprises) in every industry can benefit from an SDN deployment. When your team is ready to start discussing how to integrate SDN into existing infrastructure, contact us. We have hands-on, production environment experience with the market leading SDN solutions available today, and we can help ensure you select the right solution for your business today, and for the future.